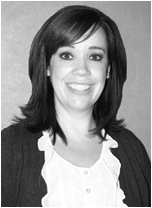 Tami is a trained medical assistant who runs the front office at Dr. Andreasen’s office. Tami coordinates the daily appointment schedule, answers e-mail inquiries, and keeps the office running smoothly. Tami will gladly answer questions about scheduling consultations and follow-up appointments and can assist in the process of surgical scheduling as well. She is in the office Monday through Friday. Mimi is our pre-operative coordinator and surgical scheduler. Mimi has many years of experience in various patient coordinator positions and she makes sure your preparation for surgery is thorough and complete. Mimi coordinates Dr. Andreasen’s operative schedule with the various surgical facilities. She also will assist you with any questions you might have regarding payment plans and financial institutions. Demeree is in the office with Dr. Andreasen on Mondays and Wednesdays. She assists in surgical scheduling, pre-operative coordination, and assists the other staff members to make your experience here with Dr. Andreasen educational and rewarding. 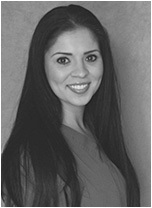 Maria is a certified scrub technician who assists Dr. Andreasen in the operating room as well as in the clinic. She has worked in the operating room for over 25 years and has experience in all types of reconstructive and aesthetic procedures. She has also served as an instructor for scrub technicians for various institutions. 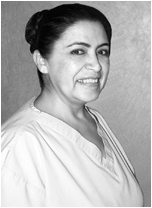 Maria also assists in all facets of pre-operative and post-operative care. 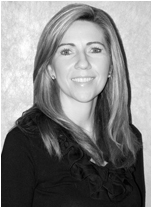 Maria is fluent in Spanish and can answer all patient-related questions as well. 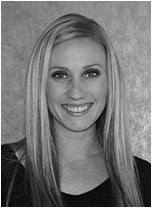 Andrea is a licensed Esthetician and has over 7 years of experience as well as advanced medical skin care training. No matter what your skin has been through, she believes that it can be improved with the proper treatment and attention. Having expertise in treating acne, sun damaged skin, aging skin, rosacea, and hormonal skin issues will ensure your optimal results. She is passionate about treating skin conditions as well as maintaining beautiful healthy skin. 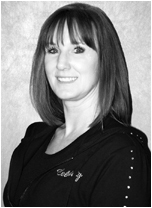 Mindy Smith has 4 years of experience as a Licensed Esthetician. Through an ongoing comprehensive clinical skin care management process, Mindy uses basic skin care facials as well as her clinical skills in order to create and augment positive outcomes for her clients. Her specialized training enables her to treat different skin types and conditions and provide treatments such as chemical peels and microdermabrasion. She has been able to help those who are concerned with anti-aging, acne, hyperpigmentation, and also the people who simply want a relaxing and fun experience. She is fully committed to tailor each treatment and skin care regimen to the specific needs of every unique person. Her biggest passion of all is the relationships and trust she gains from the people who are under her care. She has dedicated herself to her profession earning the respect of many repeat clients over the years.